I can pay for my cup of coffee with my watch. I did all my holiday shopping without leaving my house and got a lot of the stuff delivered in 48 hours. I deposit checks, pay my taxes and buy my dog food online. About the only thing I can’t get on the internet is a haircut. Why, then, is it necessary to do all of my real estate transactions in person at the settlement agent’s office? In point of fact, electronic transactions have been legal for years. Most states passed the Uniform Electronic Transaction Act (UETA) quite a while ago. This Act provides that no record or signature may be denied legal effect or enforceability solely because it is in electronic form, nor may a contract be denied legal effect or enforceability solely because an electronic record was used in its formation. The purpose of the law is to facilitate electronic transactions and to set forth some standards and practices for these transactions, VA Code § 59.1-479 et seq. Virginia passed its initial version of UETA in 2000. The Federal Law, the Electronic Signatures in Global and National Commerce Act, known as ESIGN, was also enacted in 2000 with the goal of facilitating the use of electronic signatures and electronic records in interstate and foreign commerce (15 U.S.C. ch. 96). In recent years, the Federal Housing Authority (FHA) and the Consumer Financial Protection Bureau (CFPB) have both released statements in favor of electronic closings. The CFPB conducted a study in 2015 that showed electronic closings could benefit consumers significantly by providing them with a better understanding of the documents, creating a more efficient process and giving the consumer a feeling of empowerment and control over the process. It sounds like this is the wave of the future. Shouldn’t we be grabbing our boards and paddling out to catch it? Maybe so, but we in the real estate settlement and title insurance business have some considerations that must be addressed. As with much of what we do, the fact that there is legal support for what we are doing is only part of the battle. As those who are charged with facilitating what are often our clients’ most important transactions, and those who are guardians of the authenticity of real estate transactions and the reliability of the land records, we need to know the documents we are recording are authentic, enforceable, and not subject to challenge. Title insurers have added concerns. Policies of title insurance specifically insure against fraud, forgery and impersonation. Owners’ policies insure against documents being improperly executed, and that all acts have been done which may be necessary to create a document by electronic means. Lenders’ policies additionally insure against invalidity and unenforceability of the mortgage. While the electronic closing may be allowed by law, how do we know the right person signed? Do we know they understood what they were signing? What controls are in place to assure us of these matters? All electronic transactions are not created equal. There is a vast difference between transactions utilizing electronic documents rather than paper, where the signers are in the same room along with the notary and all affix their electronic signature, and a transaction where the signer affixes their digital signature in a remote location not in the presence of the settlement agent. Virginia is only one of two states where it is legally permitted to go a step further. Documents may be notarized remotely with the signer acknowledging their signature via webcam broadcasting over the internet to a notary who is not physically present. It becomes apparent that the more remote the signing is from the settlement agent, and the notary, and the more critical the electronically signed document is to the transaction, the more risk exists. It is difficult to be secure in the knowledge that the right person signed, that they had the necessary legal capacity and that they understood the import of what they were doing if they were not in the presence of the settlement agent, and it is even a bit harder when the acknowledgement is taken remotely. When we are talking about documents like deeds and deeds of trust as opposed to other types of settlement documents, it becomes absolutely vital to know the signatures are authentic and will not be challenged by the signer for any reason. Undeniably, these problems exist in traditional “pen and ink” transactions. The industry has long been concerned about making sure the identity of the person executing documents can be determined with confidence, that they have the necessary capacity to convey land, and they understand their transactions. Over the years, we’ve developed methods to minimize our risk. We see the person sign, we inspect their valid, government issued identification, we observe the person’s demeanor, and, where appropriate, we explain the documents put in front of them and ask if they understand. When we move to a remote, electronic system, we clearly need to develop a set of new techniques to address these customary concerns. In large part, this will require us to completely understand the electronic transaction systems we plan to use. This will also require us to fully vet the vendors we may consider utilizing to furnish these services to us and our clients. There are a number of factors we must think about. First we need to know how a signer, not in our presence, will be identified. Will they use a password? A token? Will they answer secret questions (known as “out of wallet” questions)? Is there biometric identification of some kind, like a fingerprint? Will there be a notary acknowledgement? Second, we need to determine what controls will be in place to assure that the person who has been identified is actually the person clicking the “sign” button? After their identity is initially determined, is the time between “logging in” and signing electronically tracked? On the theory that signing soon after log in makes it less likely that a third party intervened, will there be a time out feature requiring them to log in again? Is there a built in protection against any tampering once the signature is affixed? How does the system address whether or not the person signed deliberately, voluntarily and understood what it is they were doing? Will they sign each page? Will they answer questions about key factors in their transaction? Then, how will the gathered information be archived and be made available if needed for law suits, auditing or regulators? Finally, how are privacy and other regulatory concerns addressed by the company who will retain this information? Any notary commissioned pursuant to this title may likewise perform notarial acts outside the Commonwealth, where such notarial acts are performed in accordance with this chapter. An electronic notarial act performed in accordance with this chapter shall be deemed to have been performed within the Commonwealth and is governed by Virginia law. Because of consumer demand for the convenience of such a service, several remote notary providers have come into the marketplace. The concept of having your documents notarized without leaving your house is attractive, and when people are in transit, or even halfway around the world, it can mean a huge savings of time and travel. The drawback comes when these documents are presented in connection with transactions that are not in Virginia. Are these documents properly acknowledged in accordance with the laws of the states in which they are being presented? The argument is often that the Virginia electronic notary is entitled to “full faith and credit”, referring to Article IV, Section 1 of the U.S. Constitution—the clause that requires all states within the United States to respect the “public acts, records, and judicial proceedings of every other state.” While constitutional analysis is beyond the scope of this article, there is a large body of case law that interprets this clause and much of it holds that this duty among the states is limited, and does not mean that one state must substitute its laws for the laws of another. As a result, it is arguable that the application of this constitutional duty to notaries and acknowledgements is inappropriate and acknowledgements taken pursuant to methods that may not be allowable in another state may not have to be accepted by that state. Documents are recorded for real estate transactions so that they provide constructive notice. This is the legal fiction which states that a person should have known of a legal action although they have not received personal notice and they are bound as though they have actual knowledge. If a document fails to rise to the level of constructive notice because it was not legally and validly acknowledged, it can be challenged. If such challenge successfully invalidates the document, it spells real trouble for the settlement agent who recorded it and the title company that insured it. 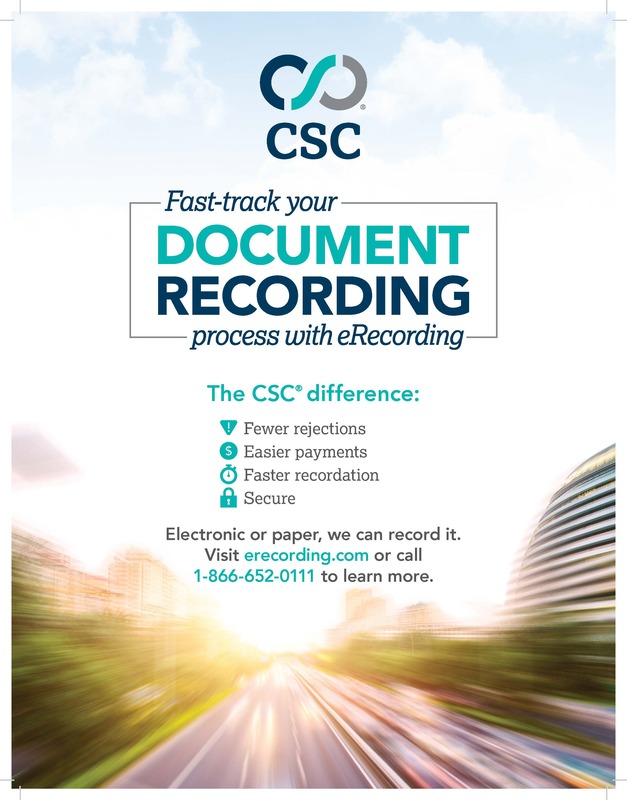 Until other states jump on the bandwagon and enact statutes containing standards for remote notaries, it seems we cannot be comfortable accepting, recording and insuring transactions in which recordable documents, notarized remotely by Virginia electronic notaries, are intended to be recorded in and to affect land in other states. Electronic, remote real estate transactions are coming in the near future. Government agencies, lenders and consumers will continue to vigorously press for them. State laws need to catch up with technological advances and we will need to find systems that completely address all the issues and concerns of the real estate community so we can prudently evolve to meet these marketplace demands. We should seek the development of processes that are not only as reliable and secure as our traditional processes, but look for the adoption of those that improve upon them. Appreciation is given to Justin Lischak Earley for his training materials which were a valuable source for this article and to Alice McDonnell for her assistance and editing. Palma is a Vice President of First American Title Insurance Company, and a graduate of the American University Washington College of Law. 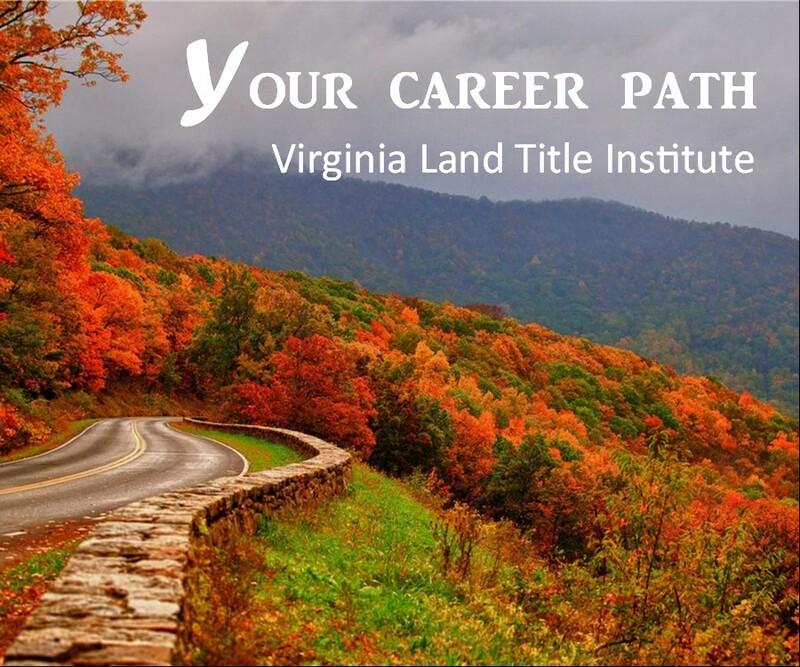 She has been an active member of the VLTA and frequently presents to land title professionals across Virginia.